Nick Hewer and Rachel Riley host as contestants race against the clock to pit their wits against vowels, consonants and numbers. Alastair Stewart is in with Susie Dent. Nick Hewer and Rachel Riley host as contestants race against the clock to pit their wits against vowels, consonants and numbers. Gyles Brandreth is in with Susie Dent. Nick Hewer and Rachel Riley host as contestants race against the clock to pit their wits against vowels, consonants and numbers. Barry McGuigan is in with Susie Dent. Nick Hewer and Rachel Riley host as contestants race against the clock to pit their wits against vowels, consonants and numbers. Alexis Conran is in Dictionary Corner with Susie Dent. Nick Hewer and Rachel Riley host as contestants race against the clock to pit their wits against vowels, consonants and numbers. Iwan Thomas is in Dictionary Corner with Susie Dent. Nick Hewer and Rachel Riley host as contestants race against the clock to pit their wits against vowels, consonants and numbers. Rick Astley is in Dictionary Corner with Susie Dent. Nick Hewer and Rachel Riley host as contestants race against the clock to pit their wits against vowels, consonants and numbers. Richard Arnold is in Dictionary Corner with Susie Dent. 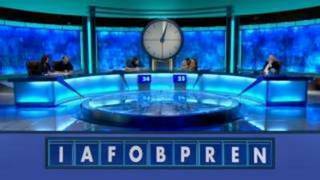 Nick Hewer and Rachel Riley host as contestants race against the clock to pit their wits against vowels, consonants and numbers. Len Goodman is in Dictionary Corner with Susie Dent. Nick Hewer and Rachel Riley host as contestants race against the clock to pit their wits against vowels, consonants and numbers. Pasha Kovalev is in Dictionary Corner with Susie Dent. Nick Hewer and Rachel Riley host as contestants race against the clock to pit their wits against vowels, consonants and numbers. Hugh Dennis is in Dictionary Corner with Susie Dent. 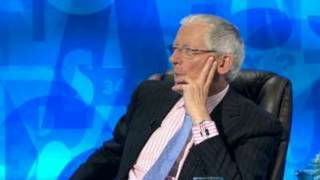 Nick Hewer and Rachel Riley host as contestants race against the clock to pit their wits against vowels, consonants and numbers. Dr Phil Hammond is in Dictionary Corner with Susie Dent. Nick Hewer and Rachel Riley host as contestants race against the clock to pit their wits against vowels, consonants and numbers. Nina Hossain is in Dictionary Corner with Susie Dent. Nick Hewer and Rachel Riley host as contestants race against the clock to pit their wits against vowels, consonants and numbers. 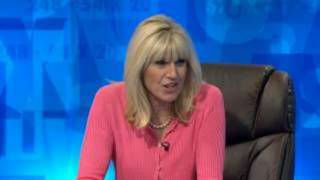 Nicki Chapman is in Dictionary Corner with Susie Dent. Nick Hewer and Rachel Riley host as contestants race against the clock to pit their wits against vowels, consonants and numbers. Jay Rayner is in Dictionary Corner with Susie Dent. Nick Hewer and Rachel Riley host as contestants race against the clock to pit their wits against vowels, consonants and numbers. Adam Henson is in Dictionary Corner with Susie Dent. Nick Hewer and Rachel Riley host as contestants race against the clock to pit their wits against vowels, consonants and numbers. Richard Madeley is in Dictionary Corner with Susie Dent. Nick Hewer and Rachel Riley host as contestants race against the clock to pit their wits against vowels, consonants and numbers. John Inverdale is in Dictionary Corner with Susie Dent. Nick Hewer and Rachel Riley host as contestants race against the clock to pit their wits against vowels, consonants and numbers. Mark Austin is in Dictionary Corner with Susie Dent. Nick Hewer and Rachel Riley host as contestants race against the clock to pit their wits against vowels, consonants and numbers. Mark Austin is in with Susie Dent. Nick Hewer and Rachel Riley host as contestants race against the clock to pit their wits against vowels, consonants and numbers. Chris Hollins is in with Susie Dent. Nick Hewer and Rachel Riley host as contestants race against the clock to pit their wits against vowels, consonants and numbers. Chris Hollins is in Dictionary Corner with Susie Dent. Nick Hewer and Rachel Riley host as contestants race against the clock to pit their wits against vowels, consonants and numbers. Dan Walker is in Dictionary Corner with Susie Dent. Nick Hewer and Rachel Riley host as contestants race against the clock to pit their wits against vowels, consonants and numbers. Jimmy Osmond is in Dictionary Corner with Susie Dent. Nick Hewer and Rachel Riley host as contestants race against the clock to pit their wits against vowels, consonants and numbers. June Sarpong is in with Susie Dent. Nick Hewer and Rachel Riley host as contestants race against the clock to pit their wits against vowels, consonants and numbers. Suzi Perry is in with Susie Dent. Nick Hewer and Rachel Riley host as contestants race against the clock to pit their wits against vowels, consonants and numbers. Suzi Perry is in Dictionary Corner with Susie Dent. Nick Hewer and Rachel Riley host as contestants race against the clock to pit their wits against vowels, consonants and numbers. Greg Rusedski is in with Susie Dent. Nick Hewer and Rachel Riley host as contestants race against the clock to pit their wits against vowels, consonants and numbers. 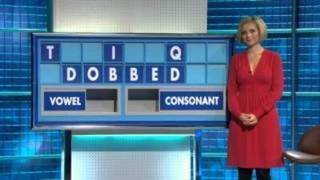 Suzannah Lipscomb is in with Susie Dent. Nick Hewer and Rachel Riley host as contestants race against the clock to pit their wits against vowels, consonants and numbers. Chris Packham is in with Susie Dent. Nick Hewer and Rachel Riley host as contestants race against the clock to pit their wits against vowels, consonants and numbers.Jenny Eclairis in with Susie Dent. Nick Hewer and Rachel Riley host as contestants race against the clock to pit their wits against vowels, consonants and numbers.Kate Humbleis in with Susie Dent. Nick Hewer and Rachel Riley host as contestants race against the clock to pit their wits against vowels, consonants and numbers. Kate Humble is in Dictionary Corner with Susie Dent. Nick Hewer and Rachel Riley host as contestants race against the clock to pit their wits against vowels, consonants and numbers. Helen Fospero is in Dictionary Corner with Susie Dent. Nick Hewer and Rachel Riley host as contestants race against the clock to pit their wits against vowels, consonants and numbers. Helen Fospero is in with Susie Dent. Nick Hewer and Rachel Riley host as contestants race against the clock to pit their wits against vowels, consonants and numbers. Martin Lewis is in with Susie Dent. Nick Hewer and Rachel Riley host as contestants race against the clock to pit their wits against vowels, consonants and numbers. Mark Pougatch is in with Susie Dent. 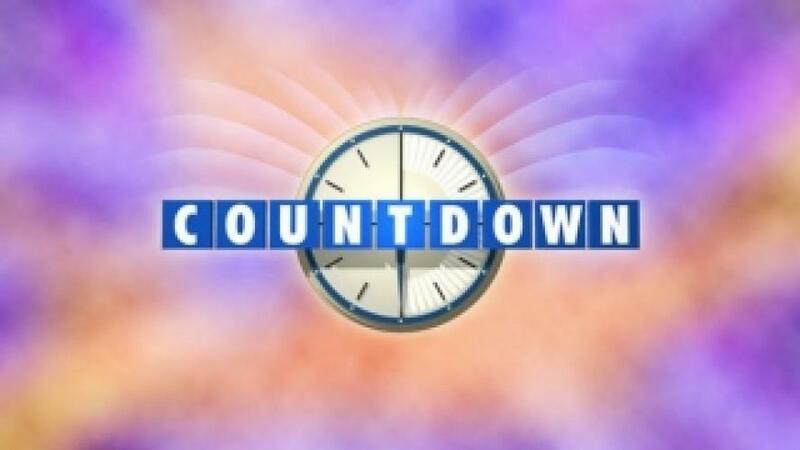 Nick Hewer and Rachel Riley host as contestants race against the clock to pit their wits against vowels, consonants and numbers.Gloria Hunnifordis in with Susie Dent. Nick Hewer and Rachel Riley host as contestants race against the clock to pit their wits against vowels, consonants and numbers. Gloria Hunniford is in with Susie Dent. Nick Hewer and Rachel Riley host as contestants race against the clock to pit their wits against vowels, consonants and numbers. Gloria Hunniford is in Dictionary Corner with Susie Dent. Nick Hewer and Rachel Riley host as contestants race against the clock to pit their wits against vowels, consonants and numbers. Janet Street-Porter is in Dictionary Corner with Susie Dent. Nick Hewer and Rachel Riley host as contestants race against the clock to pit their wits against vowels, consonants and numbers. Steve Backshall is in with Susie Dent. Nick Hewer and Rachel Riley host as contestants race against the clock to pit their wits against vowels, consonants and numbers.Jon Culshawis in with Susie Dent. Nick Hewer and Rachel Riley host as contestants race against the clock to pit their wits against vowels, consonants and numbers. Dr Phil Hammond is in with Susie Dent. Nick Hewer and Rachel Riley host as contestants race against the clock to pit their wits against vowels, consonants and numbers. Michael Whitehall is in with Susie Dent. Nick Hewer and Rachel Riley host as contestants race against the clock to pit their wits against vowels, consonants and numbers. Michael Whitehall is in Dictionary Corner with Susie Dent. Nick Hewer and Rachel Riley host as contestants race against the clock to pit their wits against vowels, consonants and numbers. Adrian Chiles is in Dictionary Corner with Susie Dent. Nick Hewer and Rachel Riley host as contestants race against the clock to pit their wits against vowels, consonants and numbers. John Challis is in with Susie Dent. Nick Hewer and Rachel Riley host as contestants race against the clock to pit their wits against vowels, consonants and numbers. Alison Steadman is in with Susie Dent. Nick Hewer and Rachel Riley host as contestants race against the clock to pit their wits against vowels, consonants and numbers. Margaret Mountford is in with Susie Dent. Nick Hewer and Rachel Riley host as contestants race against the clock to pit their wits against vowels, consonants and numbers. Dr Linda Papadopoulos is in with Susie Dent. Nick Hewer and Rachel Riley host as contestants race against the clock to pit their wits against vowels, consonants and numbers. Richard Madeley is in with Susie Dent. 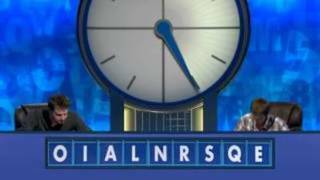 Nick Hewer and Rachel Riley host as contestants race against the clock to pit their wits against vowels, consonants and numbers. Rufus Hound is in with Susie Dent.